While working in the New York office that I decided to take a trip to visit Bergdorf Goodman. Yep, the luxury retail store on Fifth Avenue. Immediately I asked for the toys section. 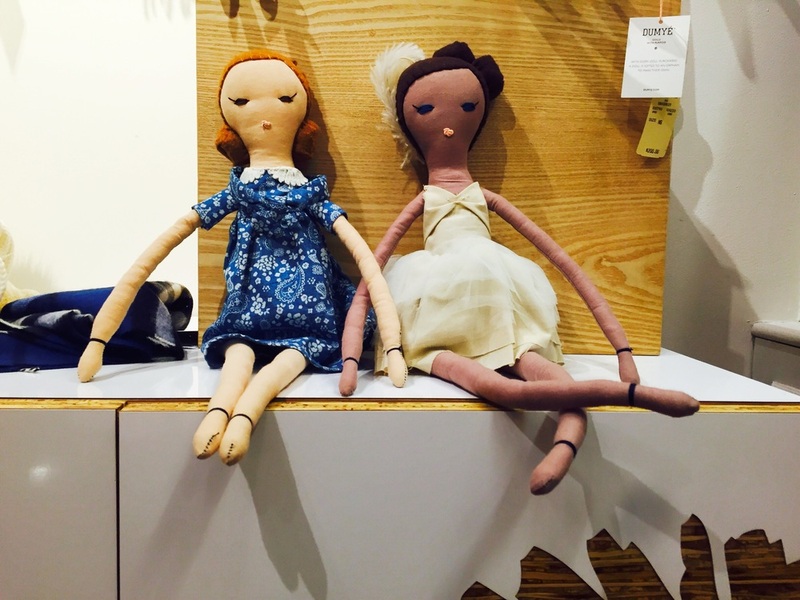 Oh boy, here in front of me is the Dumyé handmade fabric dolls. It's beautiful. Each doll comes in its own bag. Given it was a quiet weekday late afternoon and after the holidays. There were no kids in the kid section. I got all these dolls to myself. I'm just happy able to get some pictures with no human in it or distraction. The founder, Sahar Wahbeh visited the Bay Area to get funding for her project. Her goal is for every doll that Dumyé sells results in another doll gifted to an orphan through an art workshop, allowing the children to create a meaningful doll of their own. Here is the full article about her visit. 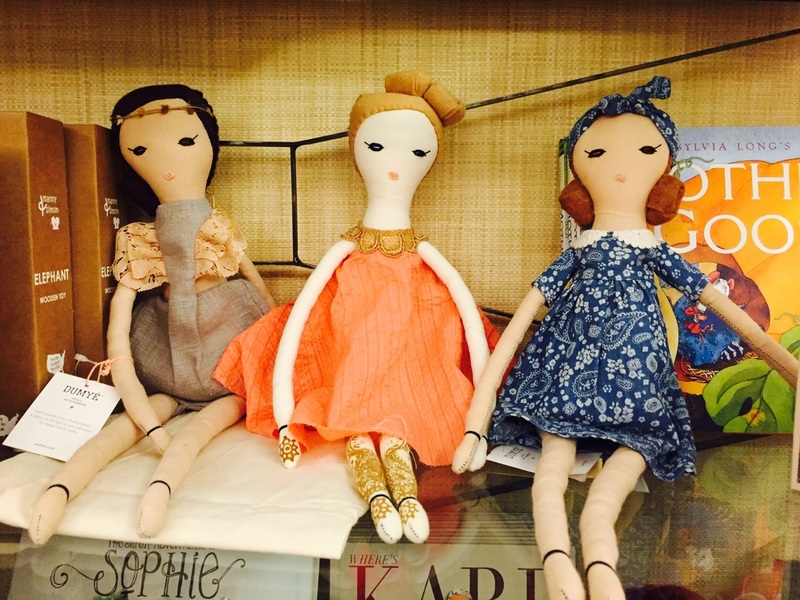 Some of the dolls are very culturally in design. Here you will see a henna hand-painting fabric doll and is wearing a beautiful orange dress. Holidays are over, but good times are here to stay.